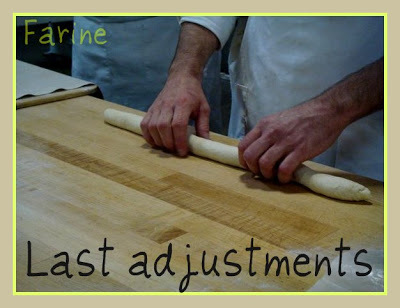 When I took my first two classes at the San Francisco Baking Institute this winter (Artisan I & Artisan II), Frank, our instructor, demonstrated how to shape baguettes. This is very nice – thank you! Do you have any photos of scoring? 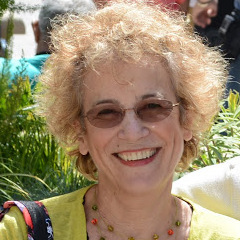 How was your time at SFBI? SFBI was a great learning experience, so much so that I’ll definitely be going back for more workshops. 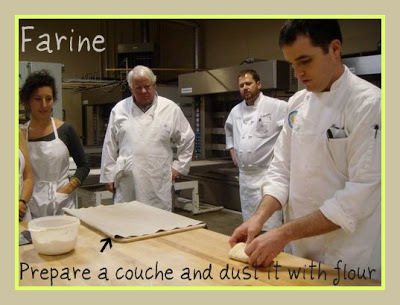 Reminds me of my classes about 10 years ago, I am going to SFBI in August for Artisan I for a refresher! 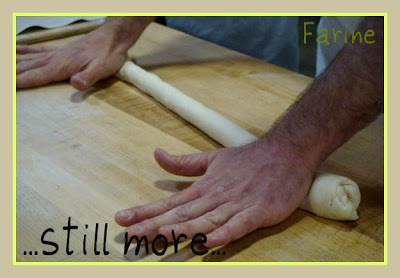 I sure could use it, being the lazy baker I am!!! Anonymous, I found one decent scoring picture. You can see it inside the Curly Ficelles post. Hope it helps! Thanks for these pictures. They are very helpful. 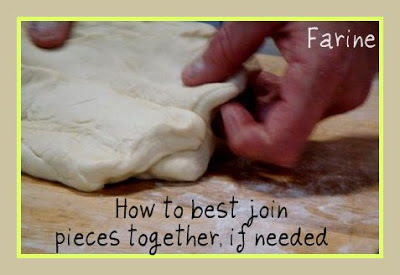 Would you please elaborate how small pieces of dough are join together seamlessly? 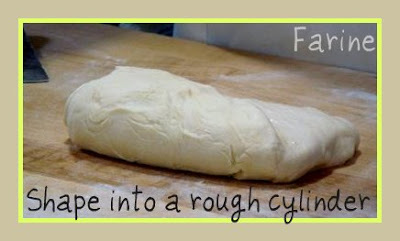 After weighting the dough for each baguette, I've always ended up with a few pieces of dough in a baguette. I've wondered if other people just eyeball the weight instead of mesuring it. 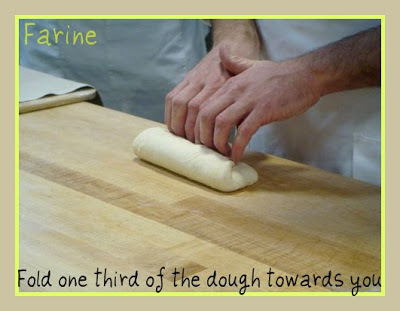 Did your instructor weight the dough so that the weight of each baguette is the same? Thank you again. I look forward to hearing your advice. 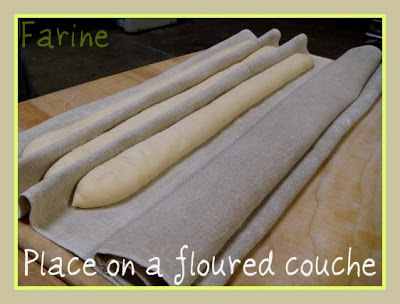 The dough is indeed weighed so that each baguette weighs the same. 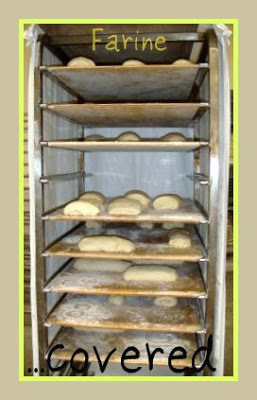 Bakers do that because the weight of each loaf is predetermined by law and they can't sell their customers short. At home this law doesn't apply. 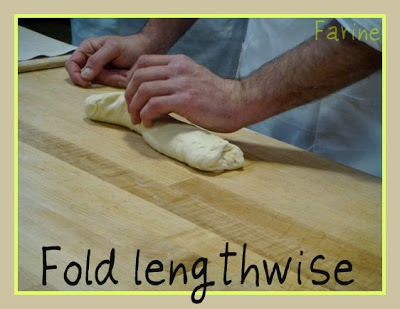 However and until you have done it so many times that you can eyeball it with a very small margin of error, it is still best to weigh the dough as lighter baguettes will bake faster than thicker ones and if they are part of the same batch, you may end up with a mixture of underbaked and overbaked loaves. I am training myself to eyeball more accurately but still find that I make mistakes, so yes, I continue weighing. 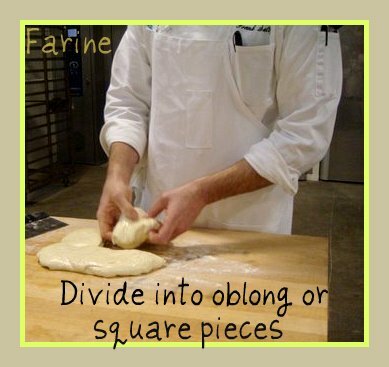 As for the little pieces, they get joined together on the "wrong" side of the dough (the "right side" being the top of the dough which should be directly against the counter as you start flattening the piece of dough for pre-shaping). 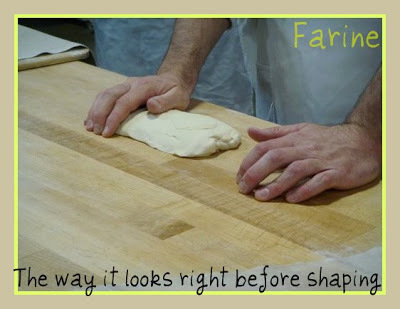 Our instructor recommends to use as few as possible (in other words to make as few mistakes as possible when dividing the dough) but when you do end up having to adjust the weight, then to press them along one of the edges of the dough, so that they will get inside as you start folding. I hope this makes it clearer. Please let me know. Thank you, MC. Your instruction is very clear. Now I get it. 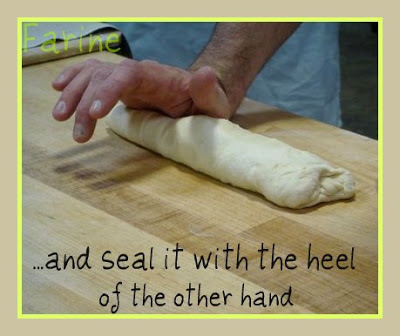 May I please ask you to elablorate 'Seal the two ends sharply with the edges of hands'? Thank you again. I guess a movie would show you better. 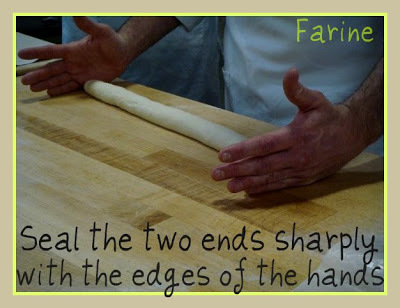 What Frank does is bang sharply on the two ends of the baguette with the edges of his two hands. That seals them. Imagine a down arrow over his hands in the picture. What I couldn't imagine is how Frank made the ends pointy by simply banging down on the ends. My baguette ends always came out ragged and ugly. 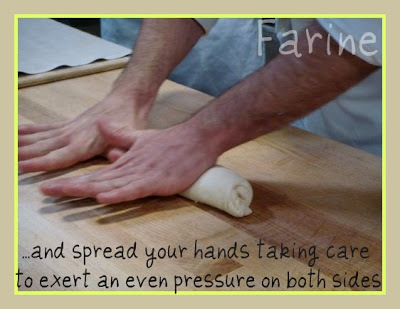 Also, when I tried to roll the dough to make it longer, it couldn't move as if there were no friction on my board. 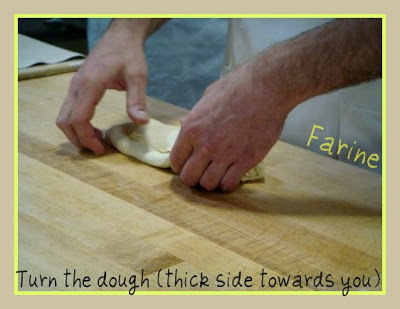 All the dough did was rubbing locally on the board. I ended up pulling it to the length I wanted. Please don't laugh at me. I just couldn't figure out what I did wrong. 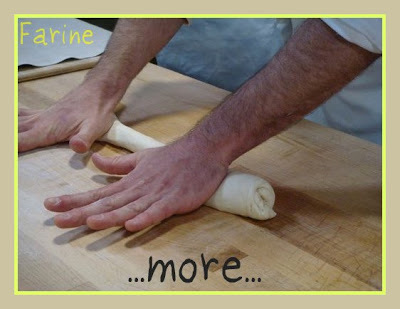 I've seen it in many tutorial videos that these master chefs / experienced bakers were rolling and rocking their baguette doughs as if they were jump ropes. Mine was like a fat caterpilla stuck on the board. May be you could offer some suggestions? Thanks a lot. Sealing the ends doesn't make them pointy. It just keeps them from opening up at the baking stage. 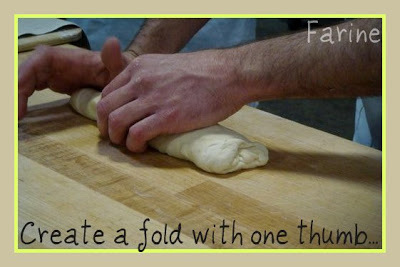 To make them pointy you have to adjust the pressure as you roll them out. 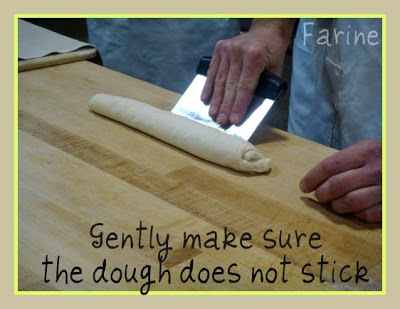 Maybe you had no friction because you used too much flour. If you notice, there's no flour on the table in front of Frank. 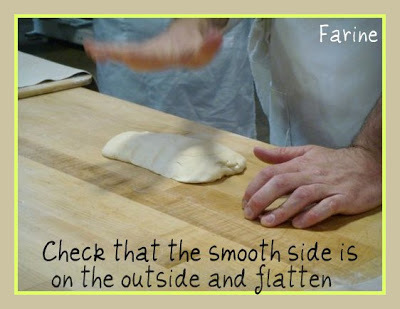 If the dough tends to stick to the table, when you do your pre-shaping you use a little bit of flour and before you start the shaping itself, you may want to dip the bottom of the piece of dough in that flour (left on the side of the table). But that's all. So you get all the friction you need from the countertop. 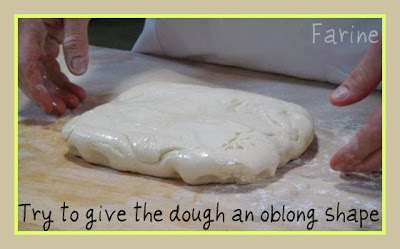 Also dough isn't always accommodating and you may want to start rolling out the first piece, then set it aside, roll out the others, then come back to the first one. You'll be amazed at how much more extensible it becomes after waiting a bit. Thank you so much for your input. 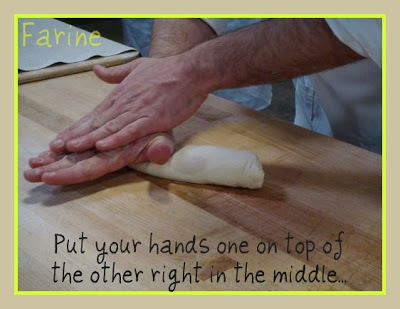 I'll keep it mind and put these techniques to use in my next batch of baguettes. I'm very embarrassed about have done something so silly when shaping my baguettes, that's why I'm hiding. I'm very new to artisan baking and I'm working very hard to push my techniques up to par. But I feel bad that you feel bad. 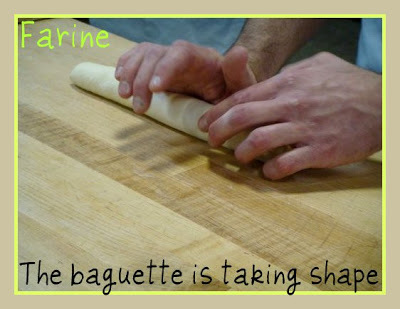 Nobody is born knowing how to roll out baguettes. It is humbling to see experienced bakers do it effortlessly but remember, they do it for a living, which means that, having probably rolled out thousands already, they could do it in their sleep. 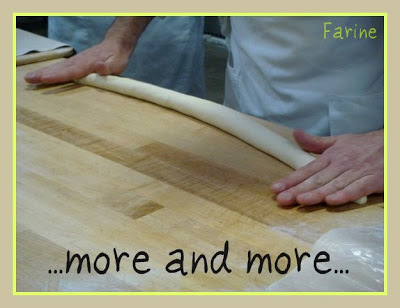 When I was at the whole grains workshop in April, Keith Giusto – a baker in Petaluma, CA – said : "Go out and try. Don't be afraid to experiment. 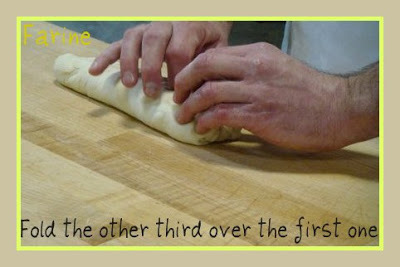 Some of the best breads I ever made resulted from mistakes". I guess some mistakes are more instructive or luckier than others but still, most of them teach us a lot and, to put things in perspective, in baking they don't have earth-shattering consequences. 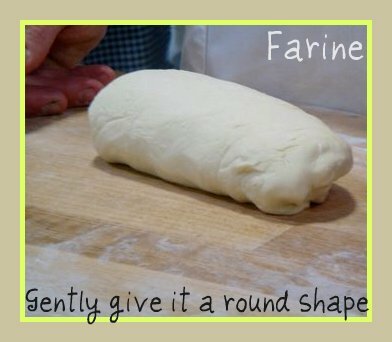 Could you send me a picture of your next batch of baguettes? I promise I will keep your identity under wrap! 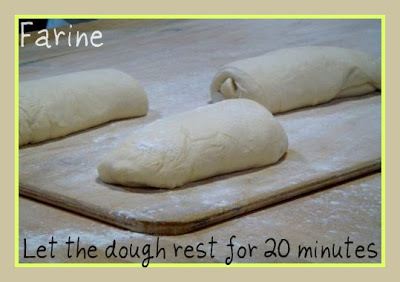 I’ll be working on my next batch of baguettes within the next few days. When it is done, you will see it, if it gets your attention. I’m sure one way or another we’ll chat again. Thank you for your time. Have a good day. thanks MC for a great visual tutorial. I've used this post as a link in my fist post of June 2010.